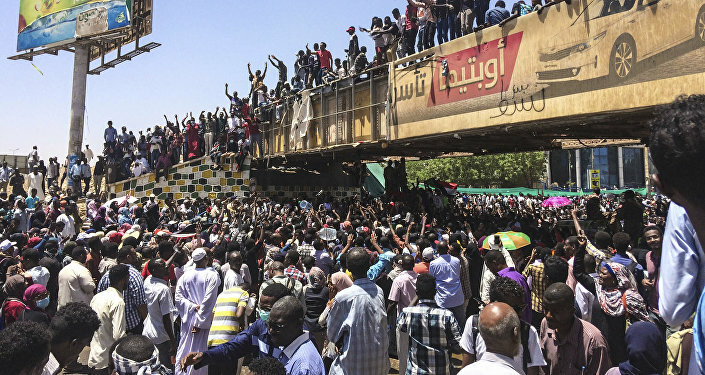 Over the weekend, thousands of people participated in protests in Khartoum and across the country, calling for Bashir's resignation and urging the army to side with the people. The rallies have continued this week, resulting in civilian casualties due to clashes between protesters and security forces. According to the Lebanese TV channel Al Mayadeen, Sudanese army members have declared that President Omar Bashir has been removed from all positions amid reports of a coup in the African country following weeks of anti-government protests. The media outlet cited sources as saying that the military personnel planned to announce the creation of a military council to govern the country during a transition period that might last for up to one year. All of Bashir's assistants and deputies have also been allegedly sacked, with no official confirmation following so far. The TV channel also reported about an intensified military presence in Khartoum. Earlier in the day, the newspaper Sudan Tribune reported that an emergency meeting of the Sudanese Armed Forces’ General Staff took place in Khartoum without Bashir. The newspaper noted that military personnel had entered the building of a national TV broadcaster and promised to make an important statement. Since December, protests triggered by the rise in consumer goods prices have engulfed Sudan. Mass rallies have prompted President Omar Bashir, who has been in power for 30 years, to dissolve the cabinet and declare a year-long state of national emergency. MOSCOW (Sputnik) - Tehran opposes any interference in the domestic affairs of Sudan, spokesman for the Iranian Foreign Ministry Bahram Ghasemi said on Thursday, expressing his hope for the stabilisation of the situation in the African nation. MOSCOW (Sputnik) – Saudi Arabian Airline Saudia, the kingdom's national flag carrier, announced on Thursday its decision to suspend flights to and from Sudan after the coup in the African state. "Moscow is expecting that all Sudanese political forces, as well as security forces, will act with utmost responsibility in order to swiftly stabilize the situation and prevent any further escalation. We are urging for the settlement of Sudan's internal issues via peaceful democratic means based on a wide-ranging national dialogue", Maria Zakharova, the spokeswoman for the Russian Foreign Ministry told reporters. The opposition Sudanese Professionals Association, which has been organising the ongoing anti-government rallies, refused to recognise the armed forces governing the country, adding that the ongoing crisis was rooted in the 1989 military coup, which saw Bashir come to power. "The crisis in Sudan is a chronic one, and it cannot be resolved 'from above' ... This crisis cannot be addressed through another military coup since this will lead to a new crisis that will be tougher... There is no other way but to transfer power to a transitional civilian national government on the basis of the people's consensus", the press service of the Sudanese Professionals Association said. The defence minister confirmed the arrest of Omar Bashir and announced that the armed forces have established a Military Council that will govern the country for two years. "People came out for peaceful demonstrations in December 2018, and the regime continued to give them nothing but false promises", he stated. — الحدث (@AlHadath) 11 апреля 2019 г. "Sudanese President Omar Bashir and his inner circle have been arrested. A search is underway for his other close associates in order to avoid problems in the coming days", the source told Sputnik. "The National Intelligence and Security Service has announced it is releasing all political detainees across the country", the official SUNA news agency said. AFP reported that, citing a witness, protesters had approached the National Intelligence and Security Service (NISS) building in Kassala, demanding that prisoners be freed, adding that after officers fired in the air, the protesters stormed and looted the facility. Kremlin spokesman Dmitry Peskov stated that events in Khartoum are Sudan's internal affair, but expressed hope that ties between the two countries would remain the same. "We are monitoring the situation very closely. We hope that, firstly, the situation won't escalate, resulting in human victims. And we expect that in the very near future the situation will return to the constitutional order", Peskov told journalists. "We are calling on our people to control themselves and not to attack anybody or government and private properties," the Alliance for Freedom and Change said in a statement, stressing that "revolution is peaceful". — Charles Swai (@Charlzclive) 11 апреля 2019 г. — Abdelrahman Al Gasim (@sumodar) 11 апреля 2019 г. The speaker of the Sudanese parliament, Ibrahim Ahmed Omer Ahmed, who is paying a visit to Qatar, has no intention of delaying his return to Khartoum despite media reports indicating a possible military coup in the country, a source in the Sudanese embassy in Qatar told Sputnik on Thursday. "Of course he is going back. His flight to Sudan is scheduled for early Friday morning. He is the head of the legislature, he will return to Khartoum where he will possibly await new parliamentary elections", the source said. 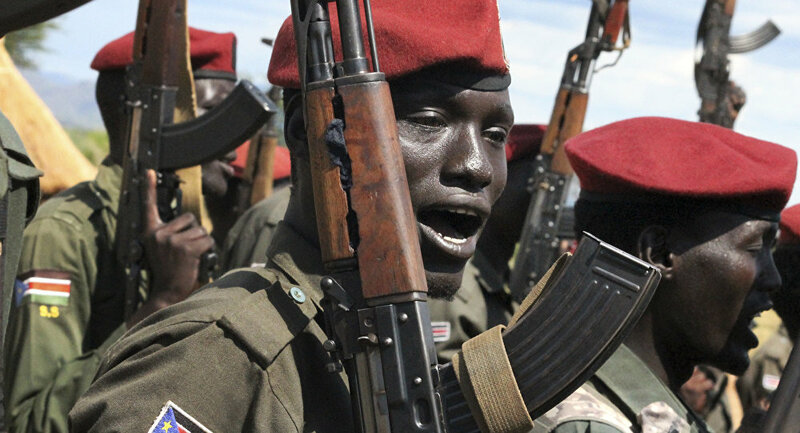 The situation around the Russian Embassy in Sudan is calm amid reports on the Sudanese military preparing a coup in the country, the diplomatic mission told Sputnik Thursday. — Isma'il Kushkush (@ikushkush) 11 апреля 2019 г. The source told RIA Novosti that President Bashir is currently in the building of the Sudanese Army General Staff. According to minister of production and economic resources in North Darfur Adel Mahjoub Hussein told Al-Hadath TV that "there are consultations to form a military council to take over power after President Bashir stepped down". The Sudanese Embassy in Moscow told Sputnik Thursday that it was unaware of the reported removal of Sudanese President Omar Bashir from his post. Sudanese TV channels announced Thursday that a briefing of the Sudanese Defense Ministry spokesperson on the situation in the country would be aired soon, a Sputnik correspondent reported from the scene. RIA Novosti cited a source in the army as saying that an announcement on the new Sudanese leadership consisting of military is being expected. Separately, local media reported that the military council is preparing to take power in the country for a year. Additional army units are deployed, armored vehicles are being redeployed in the capital. Police disappeared from the streets, local media reported. Reuters reported, citing witnesses, that people on the streets are chanting "it has falled, we won."